ok, last week’s photo challenge was one. i am running a little behind, but do intend to get that published, but is it ok if i move on? seeing this amazing “round” picture on spirit lights the way really inspired me. i wish we had a buddha belly donuts here! or maybe i don’t…..i don’t think my belly needs to be any rounder! anyway, the subject or round, with a spiritual twist, called to mind an artistic experiment that i tried this week. i have joined up with this awesome website called wild precious studio. i have found lots of ideas and inspiration there for my art journal. i recently joined a group on mandala making and here is my first attempt. ok, so it isn’t exactly round, but kind of? i have to admit, that besides being a little concerned about its wonkiness when i was doing it (i decided i am not exactly symmetrical either, so it is a better representation of me this way) i had a fun and relaxing time making it. expect to see it incorporated in a journal page one day soon! This entry was posted in weekly photo challenge and tagged mandalas, postaday2011, round, weekly photo challenge. Bookmark the permalink. I brought an artist in to the parent group I facilitate to help the parents make their own mandala. It was one of the best sessions we have ever done. The artist set the session to music and each layer of the mandala was linked to an emotion. I later did something similar with the kids in the expressive arts group. Love the Buddha Belly donuts. that sounds amazing! 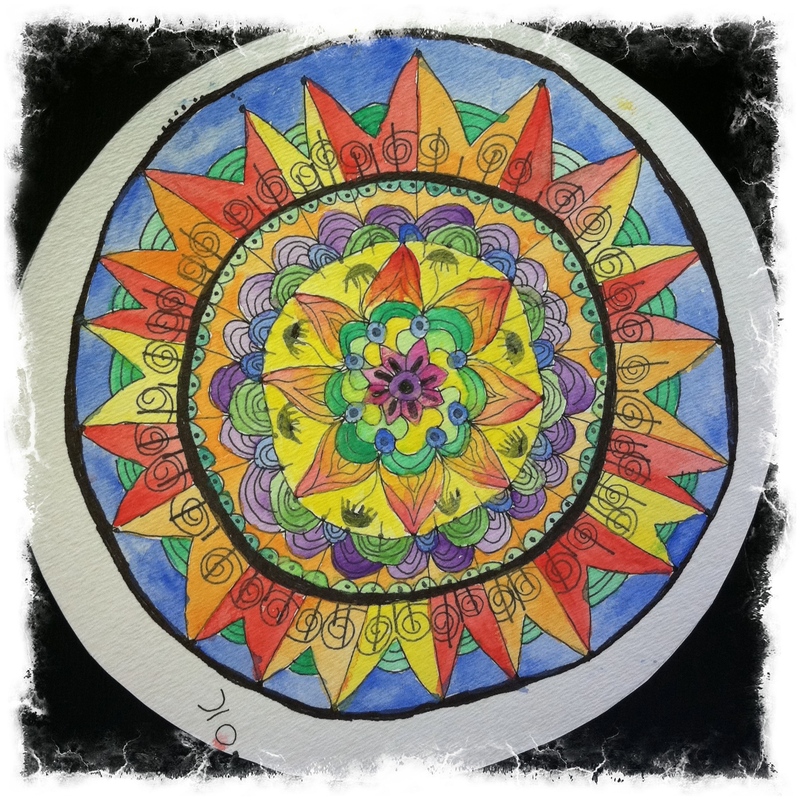 i would love to make mandalas live with a group! i mean be in the group making them. i don’t think i am good enough at it to get others doing it!